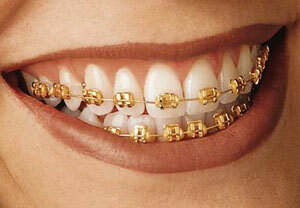 Show an individual esthetic and sense of style with gold braces. They look better with skin tones and add “bling” to your smile in progress. Because they are pure 24 Karat gold plated, the color is rich and does not fade. They’re a great conversation starter and a good alternative for patients with a nickel allergy.